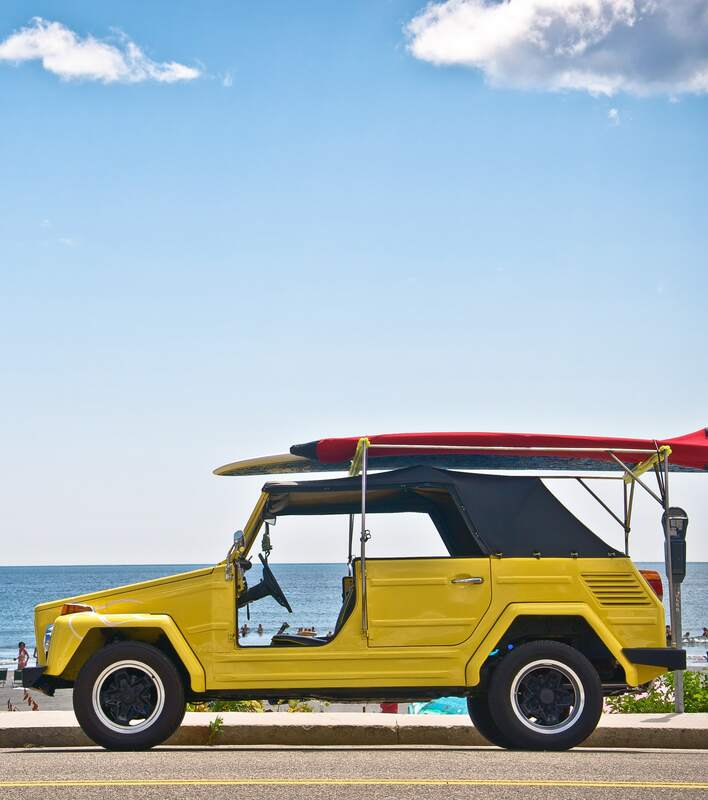 Volkswagen 181 wallpapers for your PC, Android Device, Iphone or Tablet PC. If you want to download Volkswagen 181 High Quality wallpapers for your desktop, please download this wallpapers above and click «set as desktop background». You can share this wallpaper in social networks, we will be very grateful to you. 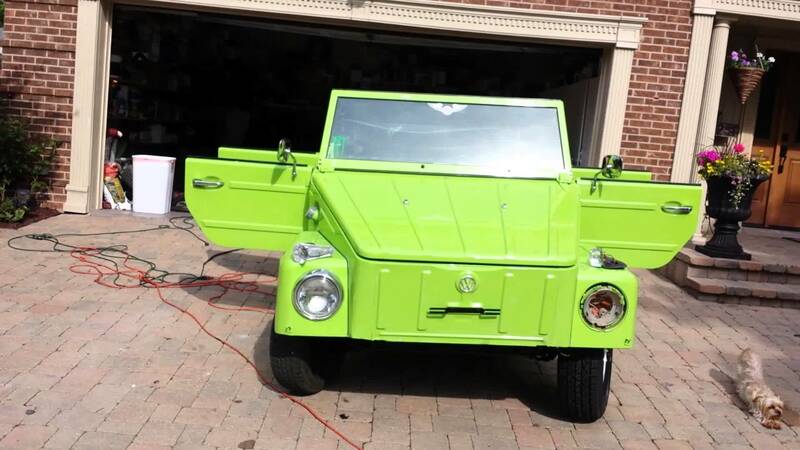 Volkswagen Type 181 – monoprivodnom, four-door, all-terrain military vehicle with a folding top, which was produced Volkswagen brand from 1968 to 1983. Sales of civilians ceased with the 1980 model year. 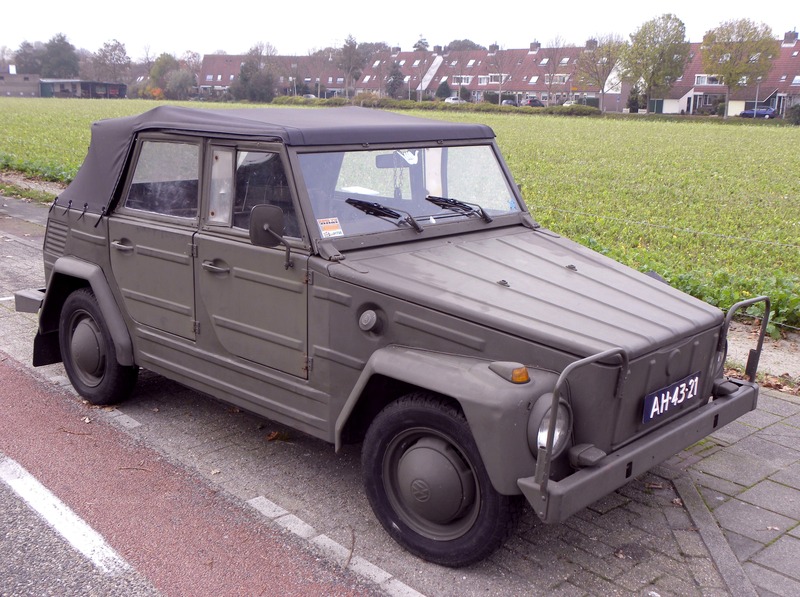 Originally developed for the German Army, Type 181 is also sold under the name of civil people Kurierwagen in Germany, Trekker in the UK, Safari Thing in Mexico and in the US in 1973-1974 (in the automotive market in the US has had a car with Safari name – Pontiac «Safari» Station Wagon). 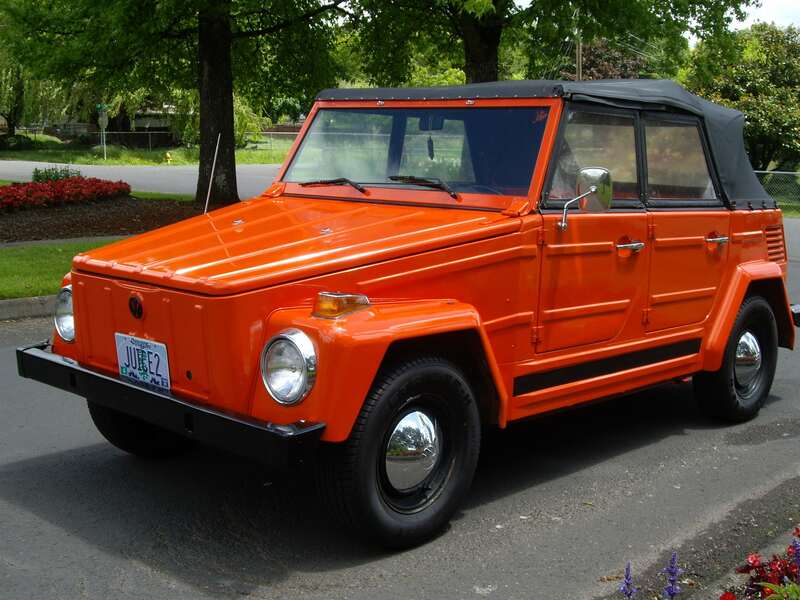 In 1974 he appeared VW Acapulco «The Thing» with improved layout, a more powerful engine volume of 1679 cc. (55 hp), a removable awning Plexiglas and soft seats. 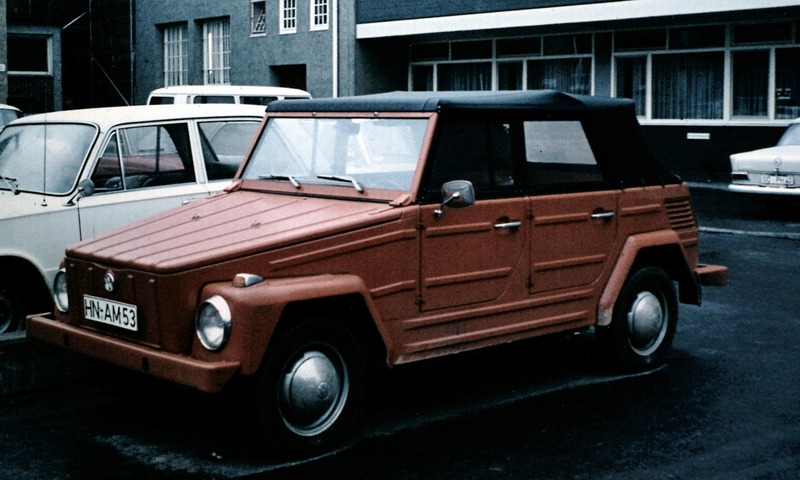 Available in Wolfsburg, Germany (1968-1974), Hannover, Germany (1974-1983), Puebla, Mexico (1970-1980), and Jakarta, Indonesia (1973-1980), Type 181 car had a lot of identical parts with Volkswagen Type 1 (Beetle), the platform was similar to the Karmann Ghia and the famous concept Kübelwagen, which was used by the Germans during World war II. 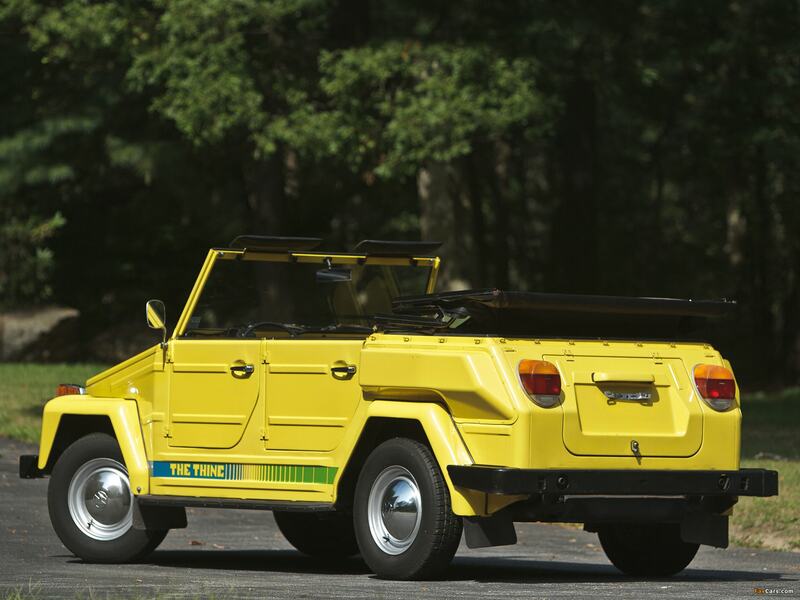 In the 1960s, several European countries have begun to work together on amphibious vehicle, which had to be light enough and passable, certainly all-wheel drive. 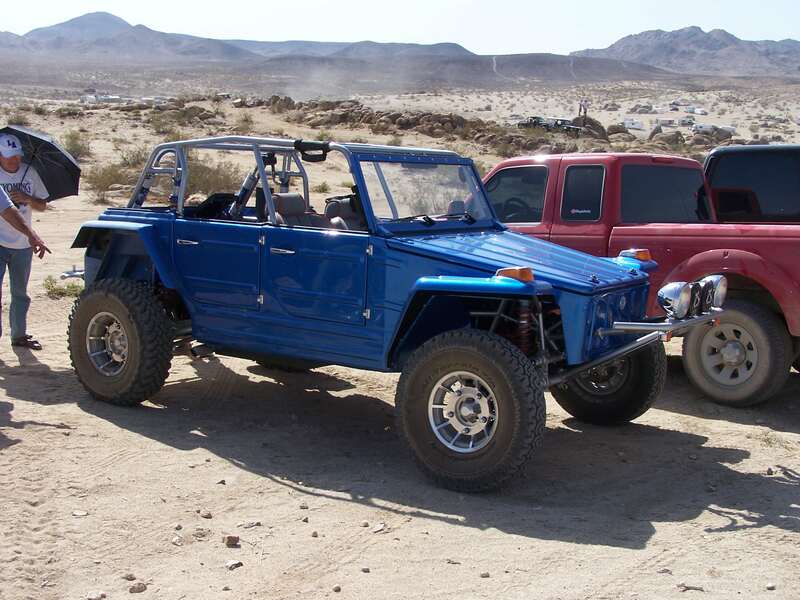 The project has the working title of “Europe Jeep» (Europa Jeep). Planned mass production of these vehicles with its further use for the needs of military and government departments. 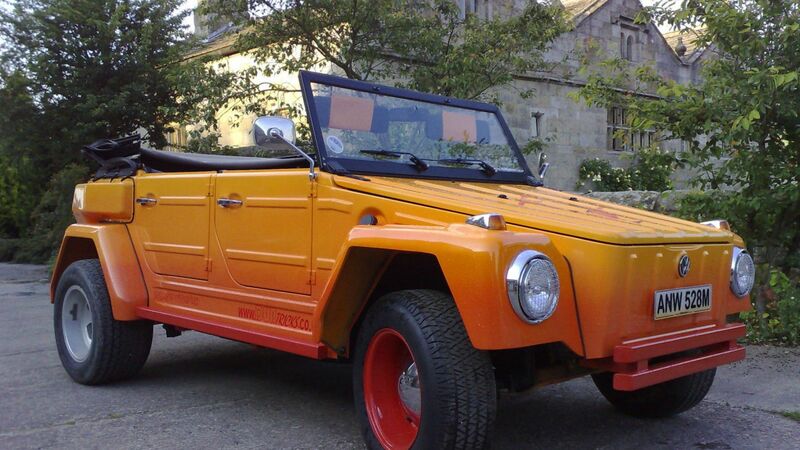 The development of this car was long enough, and the German government, the party needed a light, inexpensive and reliable car that could meet the needs at the time, until the Jeep Europe will be developed and will go into production. 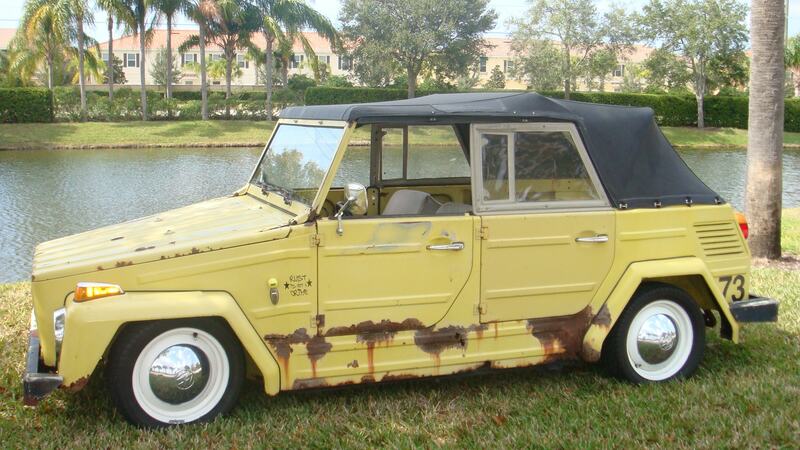 Given that Volkswagen was close to developing such a model is already in the 1950s. 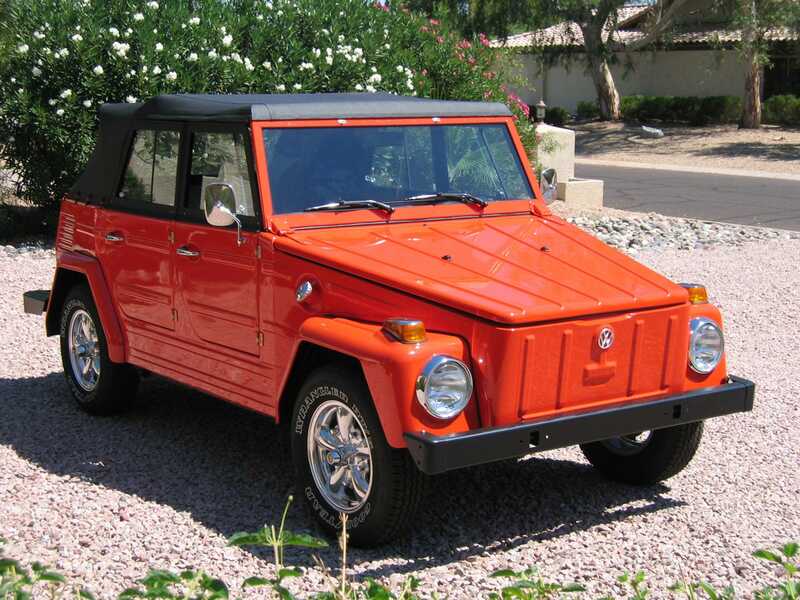 Management saw the potential of the project, because such vehicles have already been demand: Mexican consumers have repeatedly expressed the request to make the car, which would be more convenient to move around the local country roads than the Beetle, which, incidentally, was the best-selling car in Mexico at the time, and the popularity of buggies on the VW platform in the US has led management to believe that this robust, sturdy, all-terrain vehicle would come to taste many buyers. 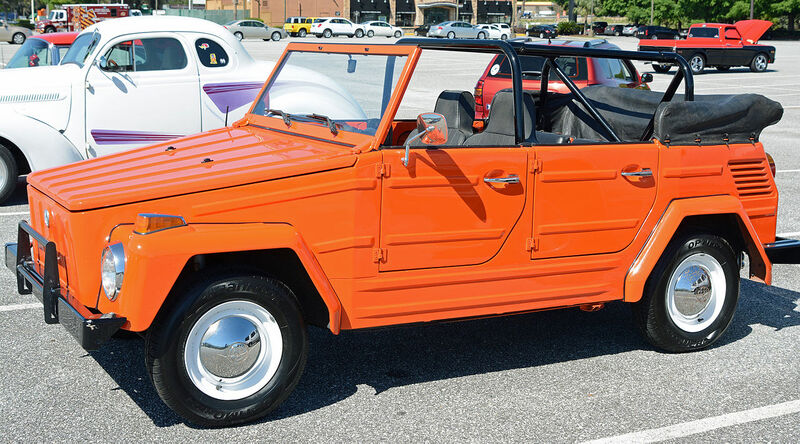 Volkswagen could offer the minimum price, thus maximizing profits at the expense of using parts of existing models. 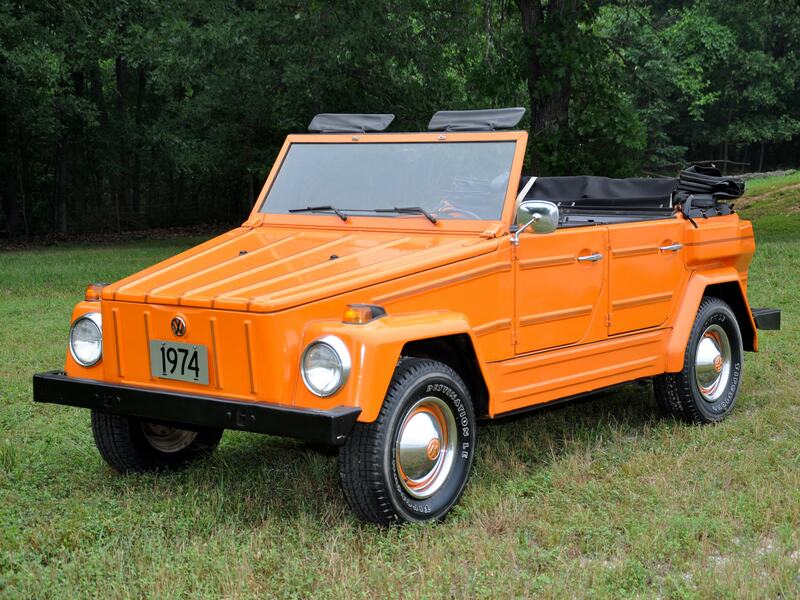 In 1969 it was developed and put into mass production of Volkswagen 181. The precursor of Type 181 was a Type 82 Kübelwagen, vehicle of World War II, which was used in the war in a completely different purpose – to transport the wounded, the transportation of ammunition and fuel, and perform other tasks. The Type 181 was used mechanical parts, the platform rear-engine, air-cooled, manual transmission and in-line 4-cylinder engine from the Beetle. Underbody borrowed from Type 1 Karmann Ghia, whose body was longer than that of the Beetle. 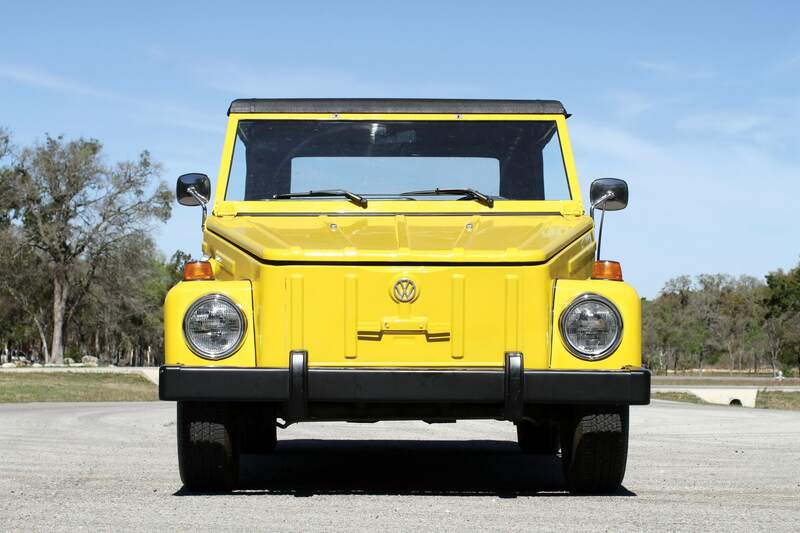 Rear suspension and transmission are taken from the Volkswagen Transporter and was used until 1973, after which it was replaced dvuhkardannoy axis, which was used in the Porsche and IRS. On cars the engines of 1.5 and 1.6 liters. 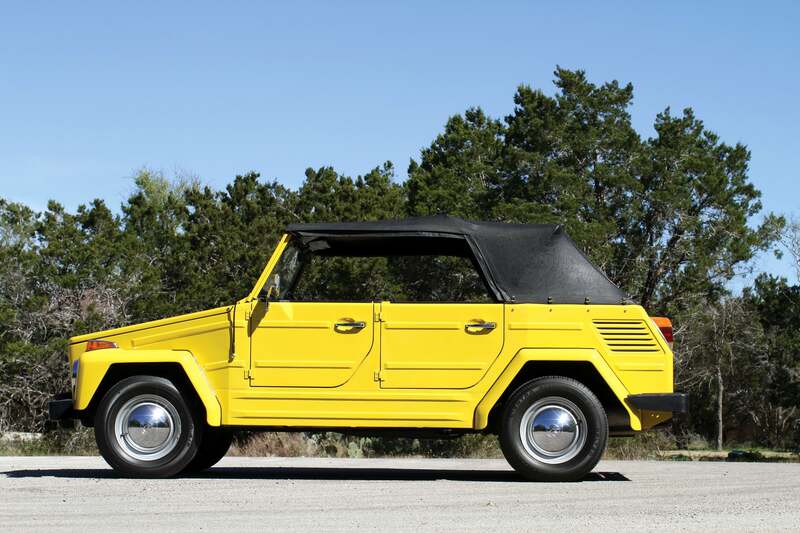 2 years after the start of production assembly Type 181 was moved to Mexico at the Volkswagen plant in Puebla. Civic sales were launched in mainland Europe and in Mexico in 1971, in the United States in 1972 and briefly in the UK in 1975, where its sales have failed. In the US, also after 1975 the car was not able to meet the stringent security requirements of the United States and sales ceased. 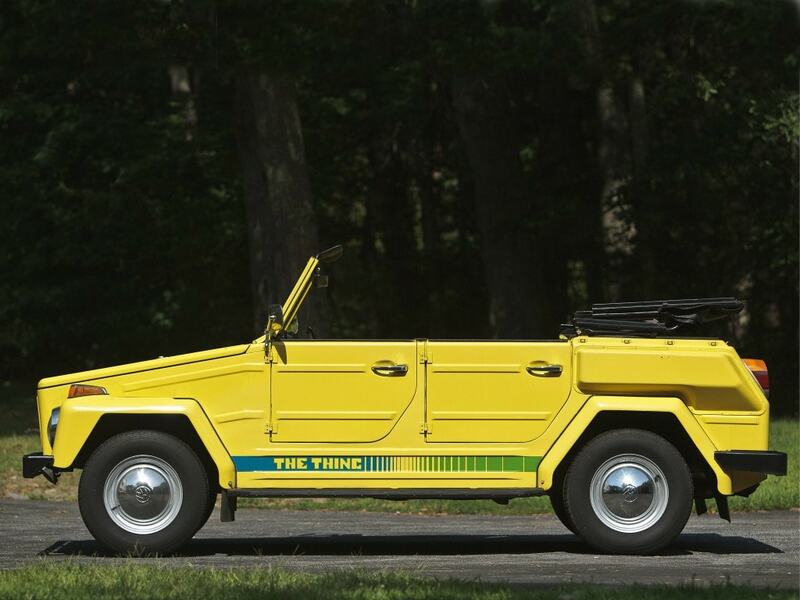 Type 181 was classified as a passenger (rather than military) car, so for him to satisfy more stringent safety standards. The problem was the distance from the windscreen (windshield) glass to ensure that does not meet these standards. 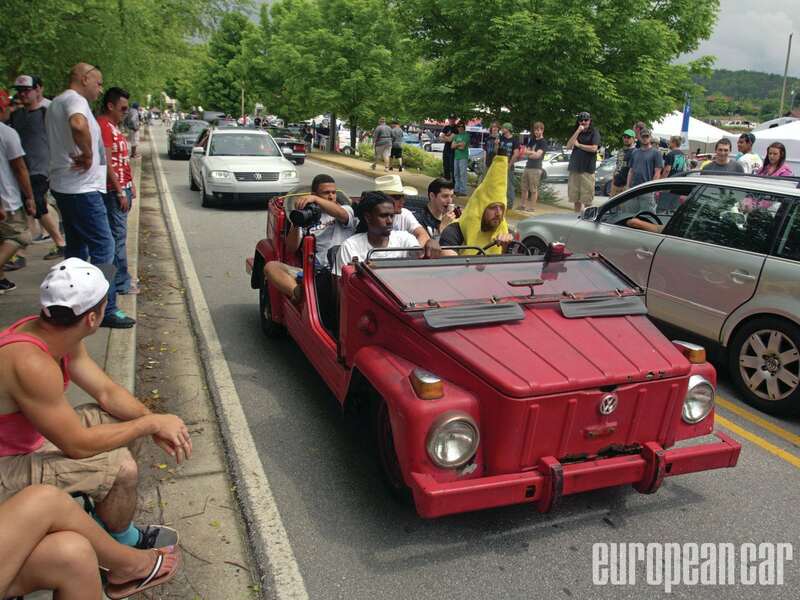 Europa Jeep was the dream of NATO – to have a car that would be created by NATO countries, producers who have united to create easy and convenient to maintain a patrol car. 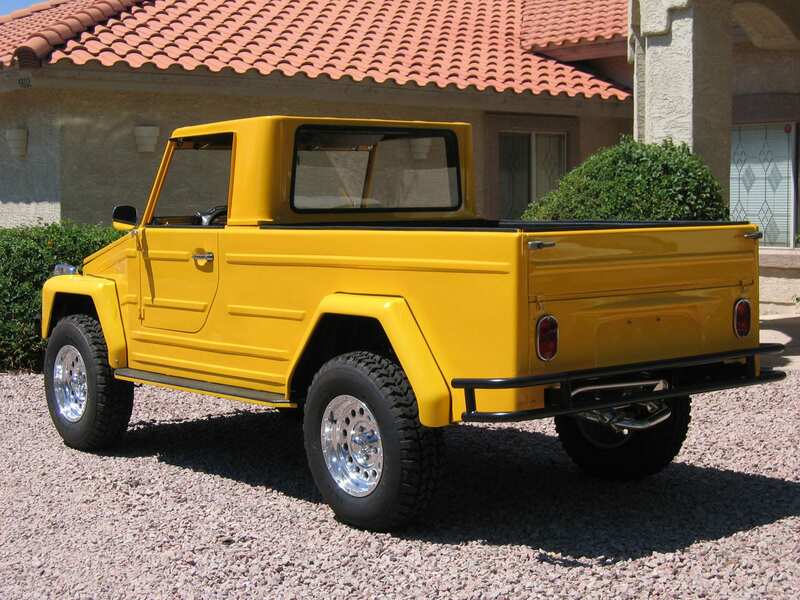 As you remember, the Volkswagen 181 was initially must meet the current demand is Europa Jeep will not go into production. In the 11 years from 1968 to 1979, the NATO force of 50,000 vehicles were delivered to Type 181. 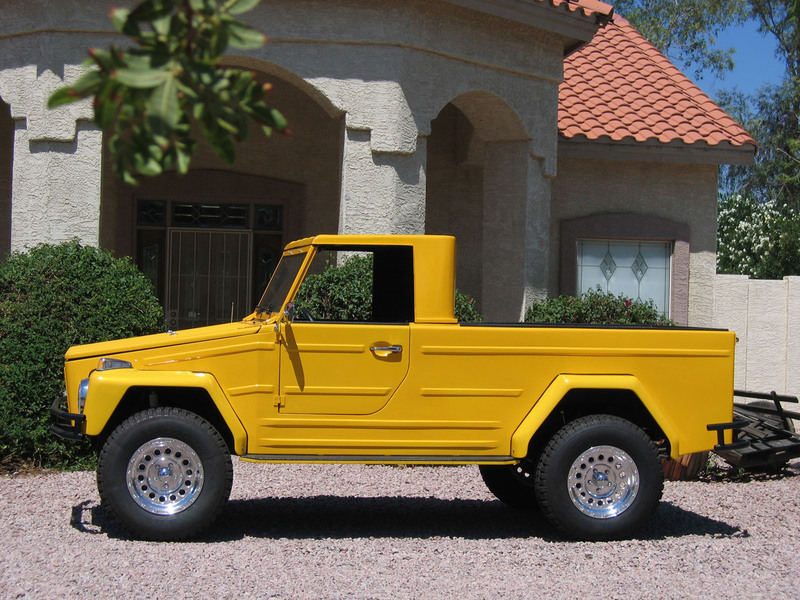 By 1979 Europa Jeep project finally collapsed and was abandoned, and the beginning of the German government in addition to the Type 181 was purchased and a new car and the front-engined Type 183 Iltis, who borrowed the four-wheel drive from the old DKW Munga and some components of the Audi 100, including the engine. 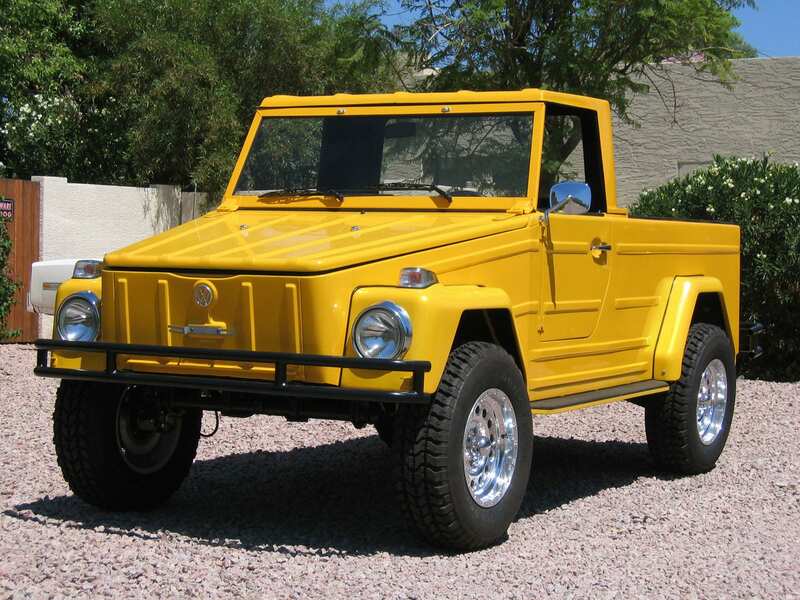 Despite the fact that the German government has completely passed on the Type 183, European and Mexican civil selling VW 181 were successful until 1980, and several organizations, including the NATO, continued to buy military version of the Type 181 to 1983rd attracted reliability and low price, and also expensive this car service. Ground clearance (clearance) from the military version VW 181 was much higher than in civil. 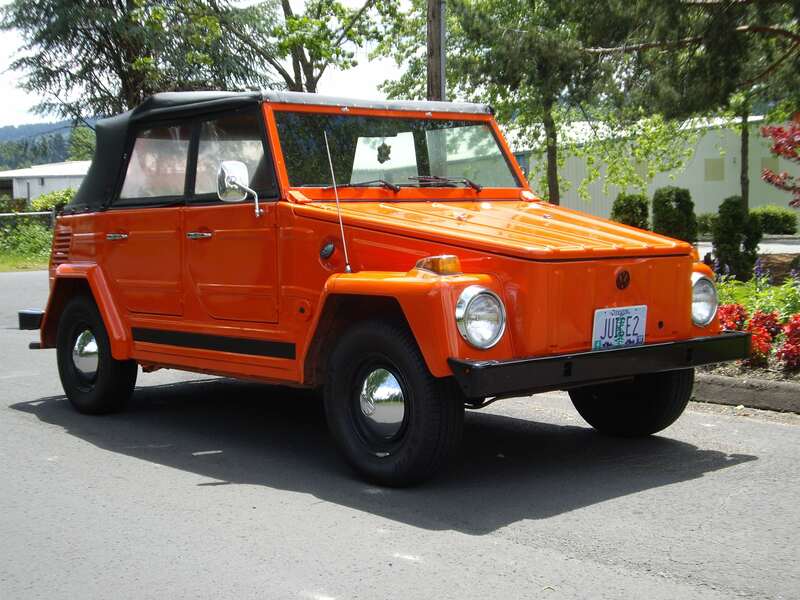 Many mechanical parts were interchangeable with other models Volskwagen. Optional offers dual filters for the area with excessive dust. To improve radio communication systems have been used with decreasing ignition noise. Cars until 1973 were equipped with cabin heating gas, then there were heat exchangers, heat the feed through the vents, which prevents dust and exhaust into the cabin.